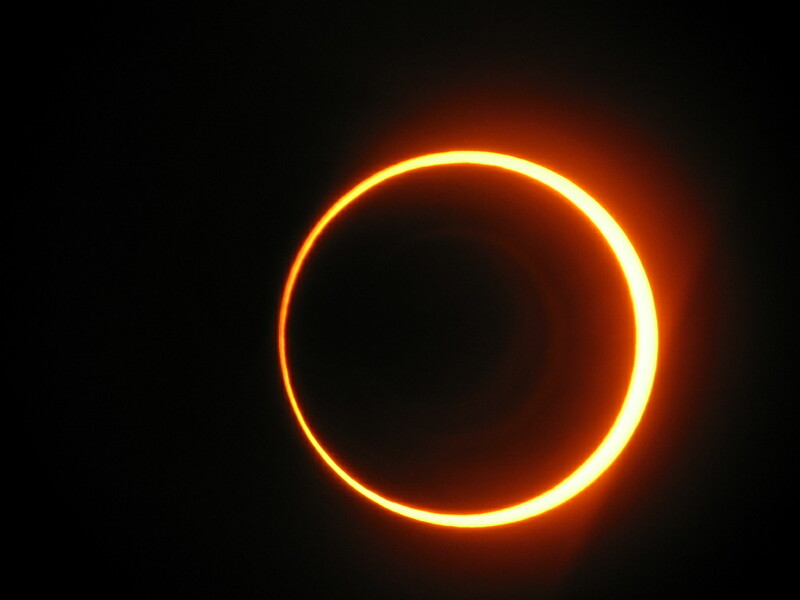 There is a ton of information on the eclipses at MrEclipse.com, which is one of the best online resources for all things eclipse-related. To see why the eclipse path cuts off so abruptly over west Texas, see the animated eclipse map here. 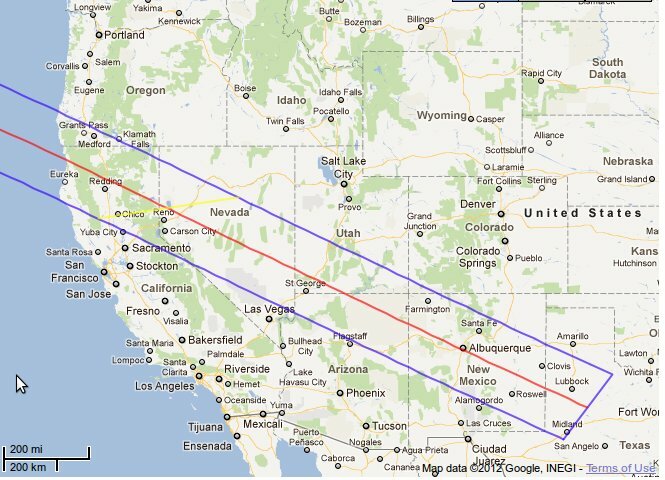 For those on the west coast, the eclipse will occur around 5:30 PM, Pacific Time. 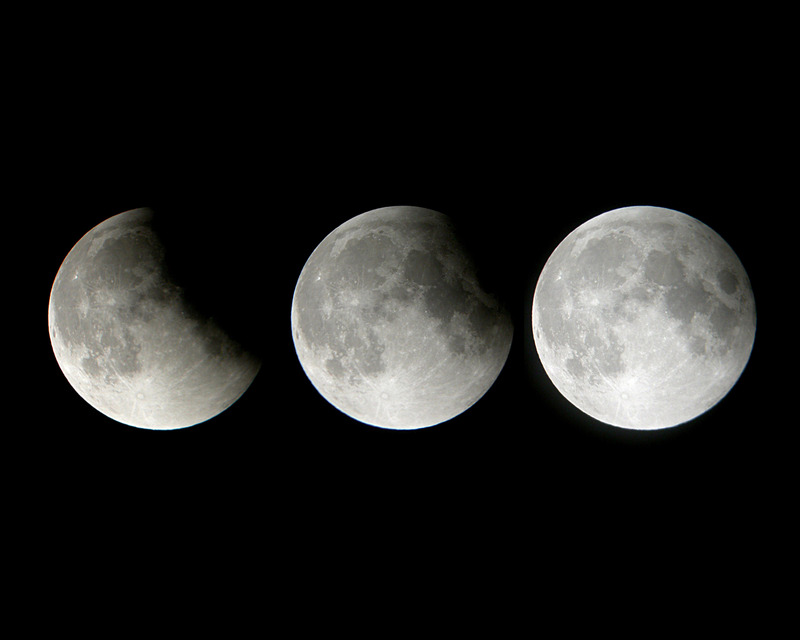 The lunar eclipse on June 4 will only be a partial eclipse: only part of the moon will pass through Earth’s umbra, or deepest region of shadow. But it will be the deepest lunar eclipse this year; the lunar eclipse on November 28 will be penumbral, so the moon will not pass through the umbra at all. Follow the links for detailed charts with graphical depictions of the moon relative to the Earth’s umbra and penumbra. I missed the last couple of lunar eclipses, one because of clouds and the other because I was sick as a dog. The last one I caught was in February 2008, about 5 months after I’d bought my first telescope, and it had a powerful effect of cementing my budding interest in astronomy (that’s my composite photo of it above). You can see my old eclipse write-ups here and here. All right, eclipses are great, but they come around regularly, so if you miss one, you’ll get another chance. Not so with the final item on the list. Venus will transit the sun on June 6, and it’s the last time this particular event will happen for a very long time. Venus transits come in pairs separated by eight years, but the pairs come along less than once per century. The last pair happened in 1874 and 1882, the first transit in the current pair happened in 2004, and after this June there won’t be another transit until 2117. Transits of Venus are cool for all kinds of reasons. They have played a large and somewhat tragicomic role in the development of astronomical science, especially as an international endeavor. People have traveled the globe, gone bankrupt, gone mad, gotten clouded out, and been erroneously declared dead trying to observe previous transits, and the scientific data from these efforts have generally not solved the problems they were gathered to answer. In particular, early efforts to calculate the size of the solar system by timing the transits were confounded by the black drop effect. But there have been spin-off benefits: Captain Cook’s first circumnavigation of the globe started as an expedition to observe the transit of 1769 from the South Pacific. Observations made from the American colonies were published in 1771 in the first volume of the Transactions of the American Philosophical Society. And in the final analysis, there aren’t that many predictable astronomical phenomena that are only going to occur once in your lifetime. Like the return of Halley’s comet, a transit of Venus both fixes us in time and connects us to observers past and future. 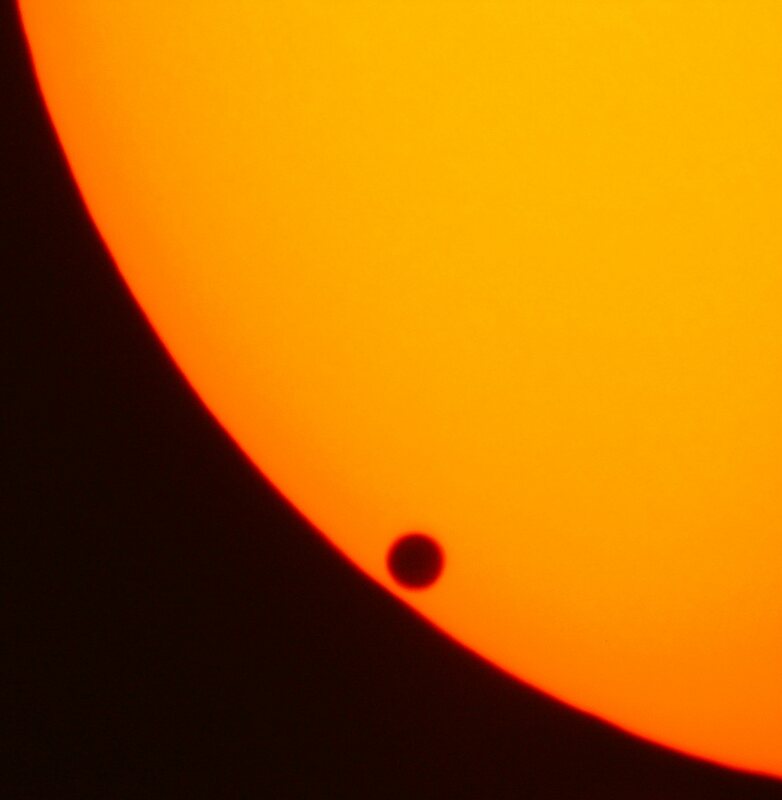 I’m bummed that I didn’t get into astronomy until four years after the 2004 transit. I don’t intend to miss this one as well. I’ll have more info on all these things as the dates approach, just wanted to get the word out early. Also to remind myself to buy a solar filter for my scope!